One segment of the hobby that is continuously growing is DLG, or Discus Launch Glider. It is a very rewarding type of flying, and can be very addictive. The downside is the entry cost. Competitive DLG's can run $500 and up, just for the airframe. Add in good servos, and you can easily sink a lot of money in one glider. This can scare off a lot of prospective DLG pilots. After all, who wants to sink a ton of money into a plane, only to discover you don't want to compete, or worse yet, you don't like DLG? Well, HobbyKing has taken it upon themselves to offer up an entry level inexpensive Plug-N-Fly model so you can get your feet wet, and see if DLG is really for you. Enter the Cumulus. Assembly was straight forward, though you do need to pay attention to getting the tail square to the wing. The other thing to pay attention to are the springs for the elevator and rudder. Be sure to take your time and pay attention to how the spring return is set up. Otherwise, the assembly is much like any other ARF, and I feel anyone who has built a couple of balsa ARFs would have no trouble assembling this one. They say the proof is in the pudding, err, flying, and this DLG does a fine job of getting you in the air. I did have to control my launches, as I was able to get the Cumulus to flutter with less power than I typically launch with, and I am no Gavin Trussell. Having said that, once I found the amount of power it was happy with, I was rewarded with some good flights. One lazy launch netted me a very rewarding 3 minutes in neutral air, and I never got above 100 feet. I did make several hand tosses getting my modes dialed in, and several very light launches to get the rotation and zoom modes set up to my liking. Keep in mind that in order to get the most out of this glider, you will need to set up your radio properly. At the very least, a launch mode is needed, else you won't be able to get much altitude. The Cumulus responds nicely to the ailerons and roll had very little coupling. It does like rudder to complete a turn, so remember that if you aren't used to using rudder with your other planes. The rudder is very effective, and like other DLGs, it's a must for course corrections when you have full flaps deployed for landing. The elevator had plenty of authority, without being overly sensitive, and I didn't notice any tendencies to snap out of a loop at the top when I hauled in full up. Flaps, when fully deployed, didn't slow the plane down as much as I would have liked, but they are effective, and honestly, for someone new to DLG's they work well enough, but aren't likely to get you in trouble. I did notice that unlike my trusty Stark, when you pitch the nose up for the catch, you need to retract the flaps, or the Cumulus will abruptly quit flying. This isn't necessarily a bad thing, it's just different than what I am used to. No. The build requires careful assembly, and introduces the "pull/spring" technique for the tail surfaces. It also requires a bit of radio setup in order to get the most out of the model. As a fourth or fifth plane, with the help of another DLG pilot, or some careful research here in the Hand Launch forum, I feel a person would have a reasonable chance at success. Last edited by Matt Gunn; Aug 24, 2016 at 02:36 PM.. Whether one goes for the Cumulus or not there is certainly enough info here to wet the DLG whistle. What was your AUW? The website says "290 grams" but mine came out to 312.2 grams and that's with not enough nose weight to meet CG. 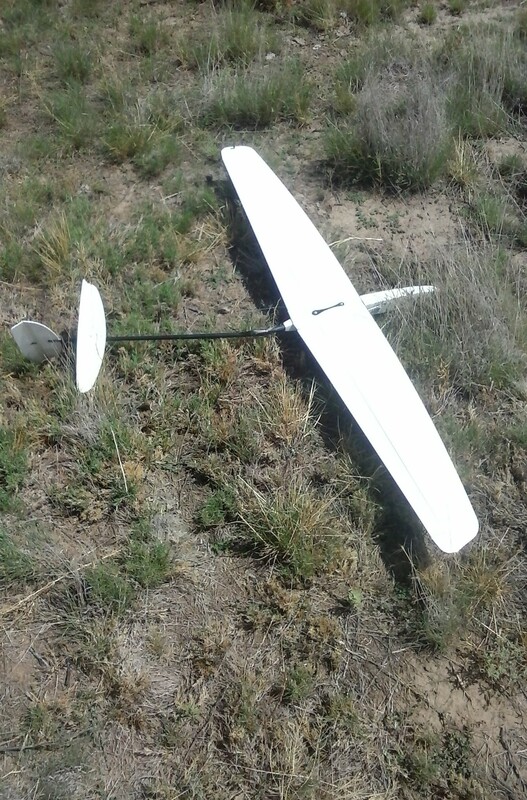 Mine broke in half at the tail boom mid hardish toss (pretty sure I can launch harder yet). My cheap $50 DLG outperforms my Cumulus. What's your cheap $50 DLG? I got a Mini DLG composite during the "plane crazy" sale. Getting it at a sale for almost 50%, doesnt really make it a 50$ DLG, the rest of us will have to pay the original price of 95 or so $. But its still cheaper than the Cumulus, so its absolutely a valid point. But the Cumulus cant be worse than the Fling DLG. Im amased that that pos is still in production, considering all the new and better options for affordable DLG's that are available now. Just wish they had been so some years ago, so I wouldnt have wasted my money on that heavy, yet extremely fragile sorry excuse for a DLG..
Yeah it's a bit misleading to call it a $50 DLG, sorry. Cumulus shows promise but builders should put a stronger tail boom on straight away. I was disappointed in how sinky the Cumulus was but its still a fun bird to play with. Just getting out there and DLGing planes is fun even if your DLG doesn't perform like a comp glider.